Hailey started to help the homeless 4 years ago when she saw someone on the side of the street and asked her mother if there was anything she could do. They bought him lunch and from there Hailey has taken it upon herself to start a garden to donate vegetables and begin building mobile sleeping shelters for the homeless in Kitsap county. To see all the places where Hailey's story has been told check out her new website! Hailey was given an excellent opportunity to help spread her message even further! Thank you Disney! 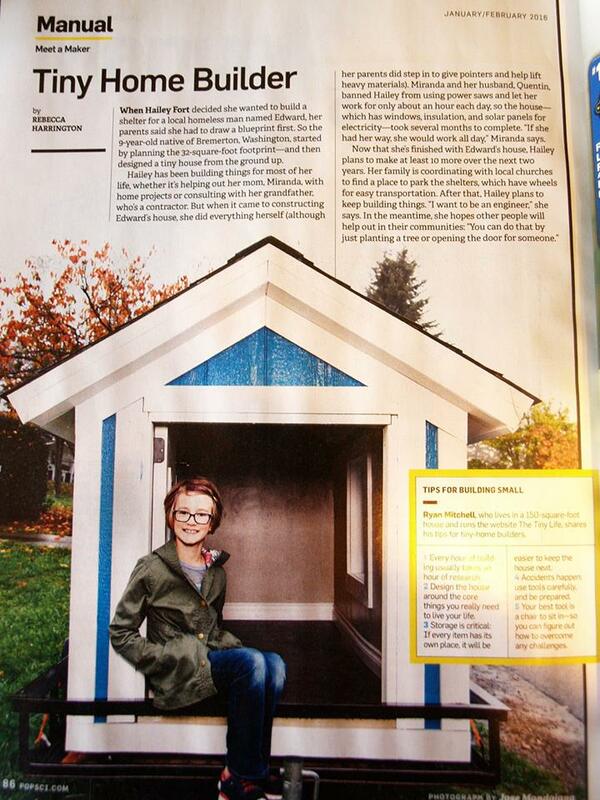 Thank you Popular Science for including me in your Jan/Feb edition! 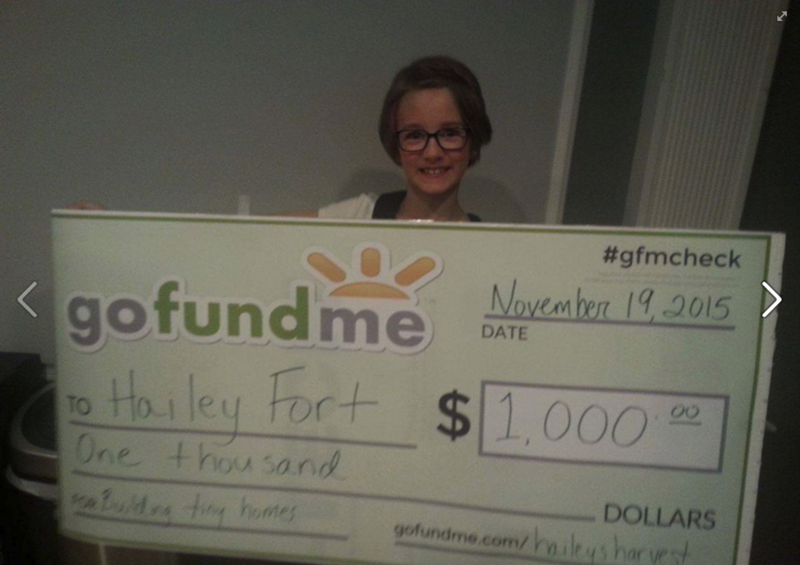 Hailey was extended an invitation to speak at an annual GoFundMe employee meeting where they awarded her additional funds for her goals. Thank you GoFundMe! 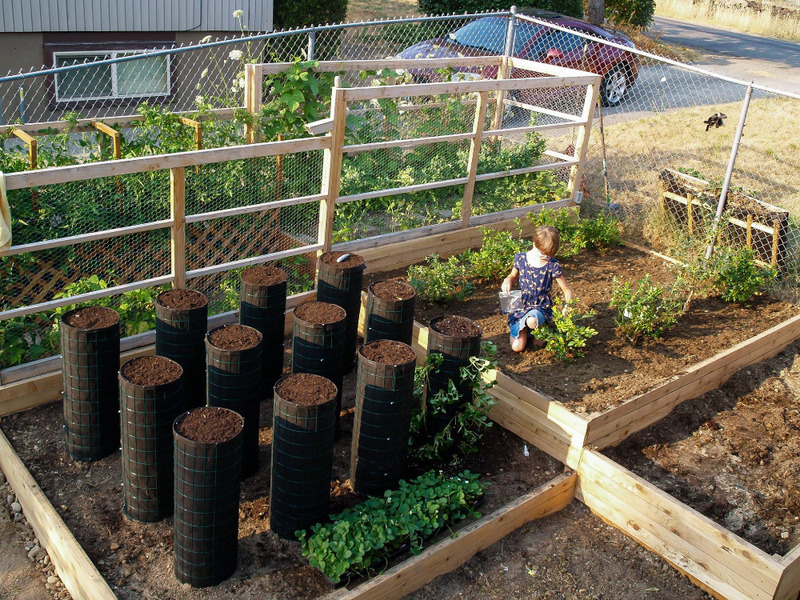 With all your continued support Hailey has quadrupled the size of her garden! Now she wants to concentrate on building more shelters and finding even more ways to help her community. I am wondering if Hailey would like another hand in building? I have some free time and would be most happy to help her build. Would you be able to send me pics of your builds, or what you use for materials, dimensions, etc. I would love to make some of these with our youth group, for the same reasons. Very proud of your efforts. My email is alicia7375@gmail.com Have a great evening. Alicia L.
Hailey, I just wanted you to know you inspire me!! By being such a little girl and having such a huge heart! People like you make the world go round girlie!! Hailey's efforts remind me of a story. A young girl was walking along the waterline on a beach. She would stop , pick up a small fiddler crab stranded by the low tide and throw it back into the sea. She continued this all down the beach until and old man stopped her and asked what she was doing. She explained her efforts to help the stranded crabs. The old man laughed and said " look around, there are thousands of them. You can't possibly make a difference". The young girl picked up another crab, threw it into the water and said " It made a difference for that one". God bless you Hailey. 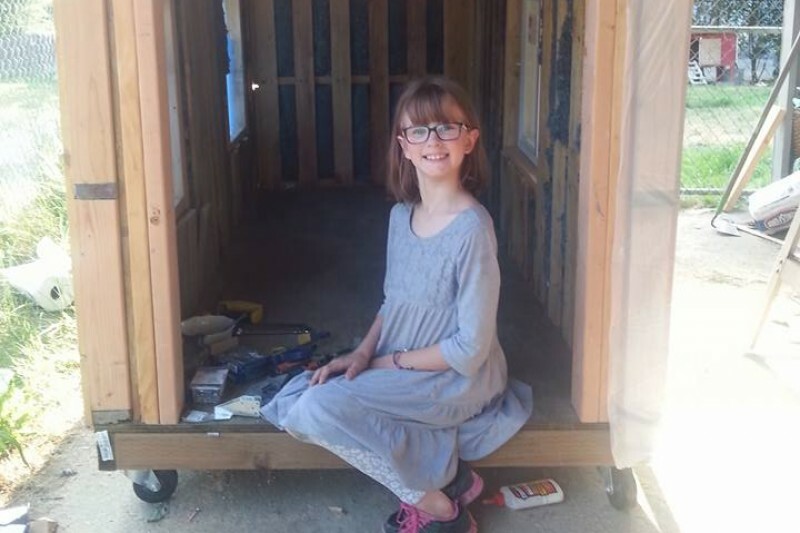 Given the overwhelming response to Hailey's mission, I recommend possibly partnering with her local Habitat for Humanity affiliate who could probably provide donated materials, tools, and extra hands. Also, just saw a story about a man in Florida who has converted a trailer into a portable shower for homeless people - I bet he would love to partner with her as well! Keep up the amazing work! You are a very wise young lady. You have discovered the secret to changing the world around you. You're bringing a lot of happiness to those around you and those you inspire. Great job! What a powerhouse and inspiration you are! Keep following your passion! I too would like to know more about hailey's project. Could lead to a nationwide movement. How can we find out? TheChive community is amazing strength in numbers. I hope this page is changing more lives than anyone could imagine. More power to you, the sweetest old soul in a young girl! You're now a hero in my life Kid, kudos to you! Hailey, I wish I could donate to your fantastic work but, for now, you have all my thanks and support. Keep doing what you know is needed for our poor world. I myself was homeless twice in my younger days and any help I did get was a blessing, what you are doing has touched so many peoples hearts and I hope you keep following your dreams, you are an inspiration to alot of people thank you for all your doing. You are an inspiration . and i have donated ,and posted to my facebook page . God bless your efforts and stay humble always . Dear Hailey I´m from Cataño Puerto Rico I´ve seen your video and your story I loved it, as soon I get paid I´ll bee donating to your cause on helping the people in need, may God bless you and your family. If everyone had your heart and compassion, what a wonderful world it would be! You rock, Hailey! You are AMAZING Hailey :) Such an inspiration!!! Hailey you are doing a great thing and your parents are amazing for helping you and encouraging you! I wish there were more adults in the world like you and hope you continue to have a heart for people as you grow. This is awesome! We have looked at something similar in our area but... where do the homeless put the shelters? We haven't been able to find anywhere and they can't just park them on private land. I know there is a solution! Keep it up young lady! Hi Hailey and family, your selfless love towards the homeless people set a great example for many people. Very proud of what you have done.